Following the news that Nintendo has been raking in cash and that Sony's PS3 division has been making huge losses, Microsoft has revealed that its Xbox arm is now in the black. The Entertainment and Devices division over at Redmond has posted an operating income for the first quarter (to the end of September 2007), of $165m (£80m). That's in stark contrast to the same period last year when the numbers equated to a $142 (£69m) loss. What's more, Microsoft is confident that its Xbox business will stay profitable for the entire fiscal year, something it has failed to do at all in the seven years since the launch of the original Xbox console. 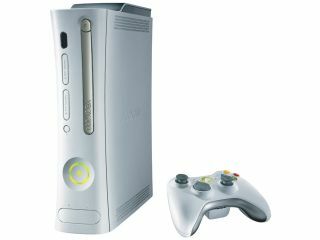 While the Xbox franchise has made Microsoft $165m, Nintendo has made $1bn from the Wii and DS and Sony's PS3 division has made a thumping loss of $849m. Microsoft last made a quarterly profit out of its games division three years ago when Halo 2 came out, but it failed to stay in the black for the whole year. It's no surprise that big Xbox games such as Halo 3 and Bioshock can be thanked for sparking renewed interest in the console. While Microsoft makes a loss on every Xbox 360 console it sells, it makes its money back from selling games. A business model which is now starting to pay off, it seems. Sony operates in the same way with the PS3, but unfortunately for Sony, the PS3 is yet to see any quality games on the same level as the likes of Bioshock. Over all, in the last three months Microsoft made a revenue of $13.6bn (£6.6bn). To put that into perspective, $13.6bn over a three month period calculates to an income for Microsoft of around $1,700 per second. So in the time it's taken you to read this story, Microsoft has made $45,000. Alright for some, isn't it?